My wife and I recently completed the process of adopting our second child from South Korea. The final stages of the process took us to Seoul and back twice in the span of two months. These trips were obviously about something much bigger than my interest in pens, ink, and paper. That said, the "hurry up and wait" nature of the adoption process left me, my wife, and our oldest son with a fair bit of time to wander the streets of Seoul. I didn't expect Seoul to offer the same pen and stationery bounty as say, Tokyo. But I was hopeful that I would stumble upon some unique items as we wandered the city. 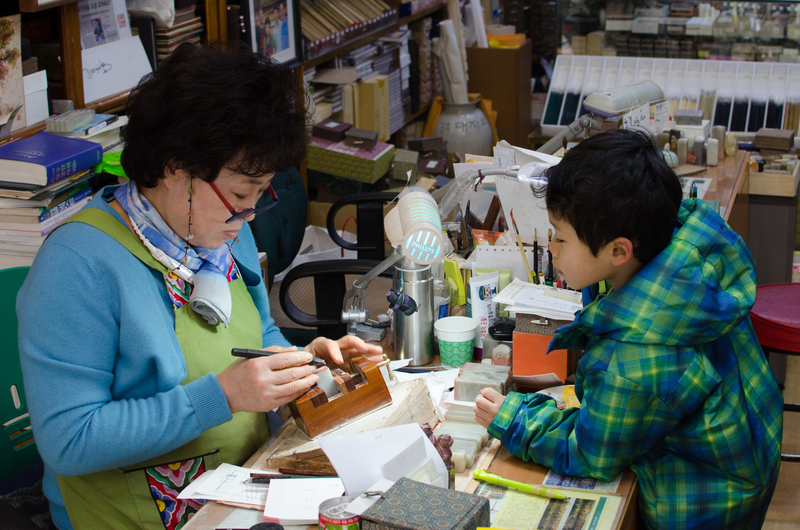 The following are some memorable explorations of the Seoul pen and stationery underworld. Some of my "advance work" on the Fountain Pen Network suggested that Seoul's big bookstores were a good bet for pens and stationery. Kyobo Books delivered. 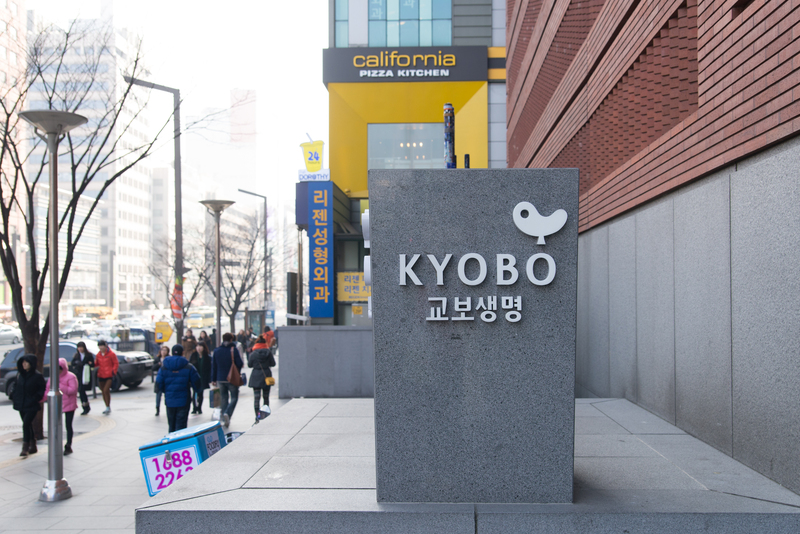 Kyobo is an immense book store that also has a sizable selection of pens, stationery, and art products. 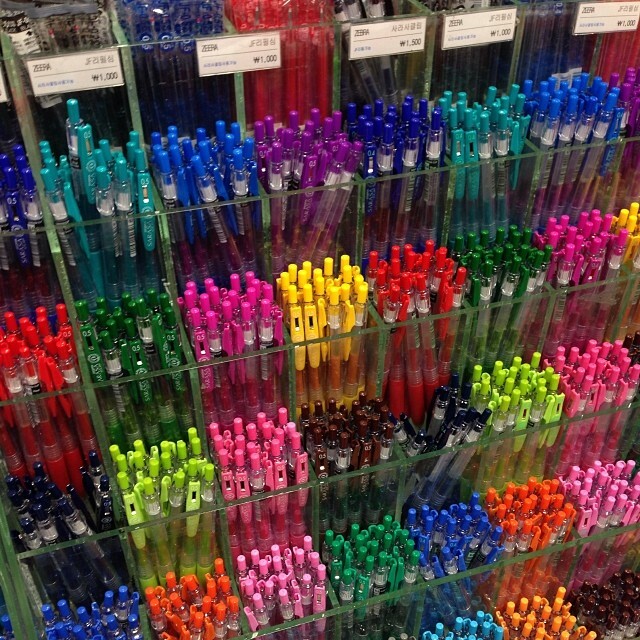 The first thing that caught my eye was an area with several aisles of gel ink pens. It was the good stuff, too. There were Pilot HI-TEC-Cs, Zebra Sarasa Clips, Uniball Signo DXs as far as the eye could see in every conceivable color and tip size. I spent a great deal of time testing out the various goodies in this gel pen wonderland and amassing a bit of a haul. Kyobo also had a very impressive fountain pen section. Imagine the fragrance section of a nice department store but instead of Chanel and Calvin Klein, the individually staffed counters read Lamy, Pelikan, Faber-Castell, Montblanc, etc. The prices were pretty high, and I was a bit gun shy about navigating the nuances of fountain pen testing with my limited Korean vocabulary. But I had fun depositing some drool on the display cases. My visits (yes, plural) to Kyobo were great fun, and it was nice to be able to step up my gel pen game in a "try before you buy" manner. Seoul's Insadong neighborhood is a popular spot among both locals and tourists. It features an eclectic collection of toy and souvenir shops, higher end galleries, and side alleys packed with restaurants. When we visited Seoul about five years ago to bring our oldest son home, we had a name chop made with his Korean name in Hangul characters. We returned to the same shop this time around to repeat the process for our second child. The shop itself was an interesting sight. There were scrolls and large brushes hanging from the ceiling in several places, and the shelves and counters were filled with stones in various sizes and colors. We then watched as the shopkeeper carved an ornate version of the Hangul characters into the end of the stone with seemingly effortless precision. Upon completion, the chop was paired with an ink container and decorative box, and we were on our way with a one-of-a-kind keepsake for our future son. Another stop during our Seoul exploration was the Namsangol Hanok Village. The village is a collection of hanok (traditional Korean houses) from various points in Korean history. The village featured a number of cultural activities and games as well. One particularly memorable one was a traditional Korean "wish tree." 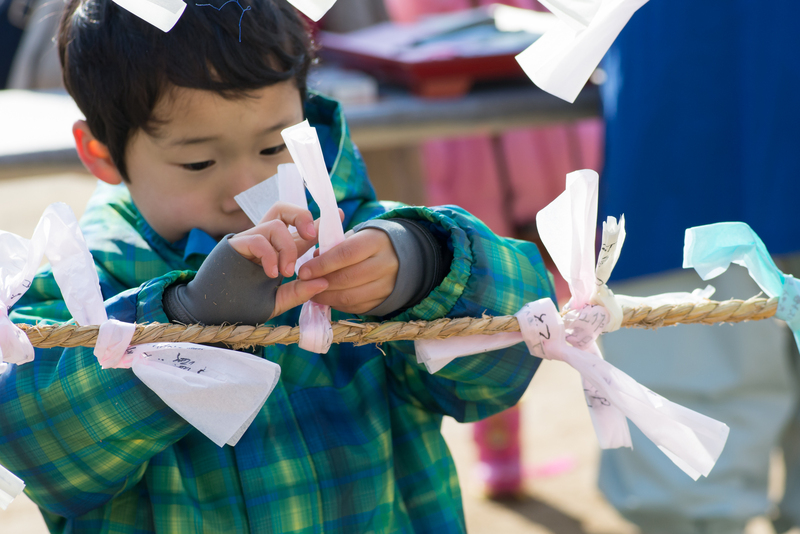 Visitors were invited to write their wish for the coming year on a piece of paper and tie it to a wish tree. 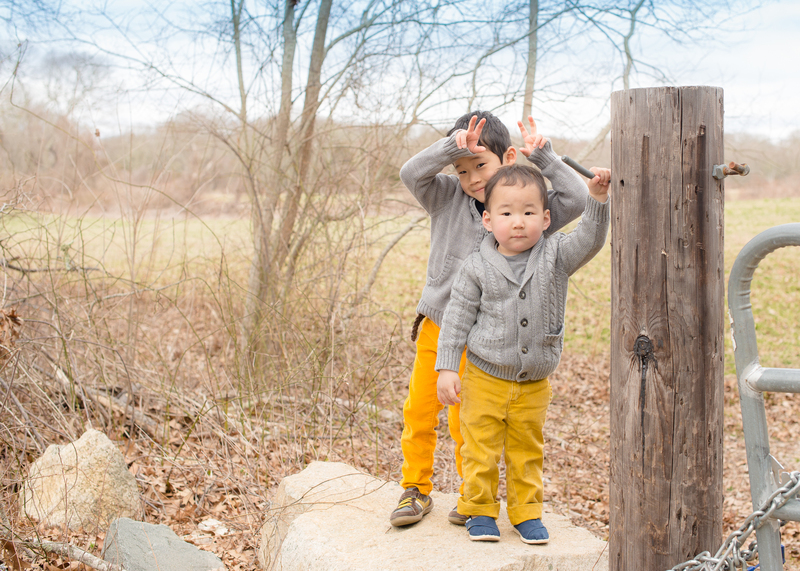 We had one big wish – to become a family of four – so our oldest son did the honors. It would have been the perfect moment to whip out a Visionnaire, but he made do with the provided felt tip. During one of our walks back to the hotel from our adoption agency, we stumbled upon a nice looking pen shop in Seoul's Gangnam section called Besen. The store had a variety of display cases with pens from many of the major players. They even had a Lamy 2000 inked up and sitting on the counter with a pad of paper. I had never used one before, so it was a great opportunity for a low stress test drive. The shop also had a very nice selection of Midori Traveler's notebooks and related accessories, which I also enjoyed checking out in person for the first time. I was still walking on air from some special moments earlier in the day, so there was a little devil on my shoulder whispering "treat yo self" as I browsed. However, as with Kyobo, the fountain pen prices were a bit insane. When another customer spontaneously broke out into a shouting match in Korean with the shop clerk, I took it as my cue to move on. The morning after we arrived for the second of our recent visits to Seoul, I opened the hotel room curtain and spotted a beacon in the distance: a Pilot billboard. 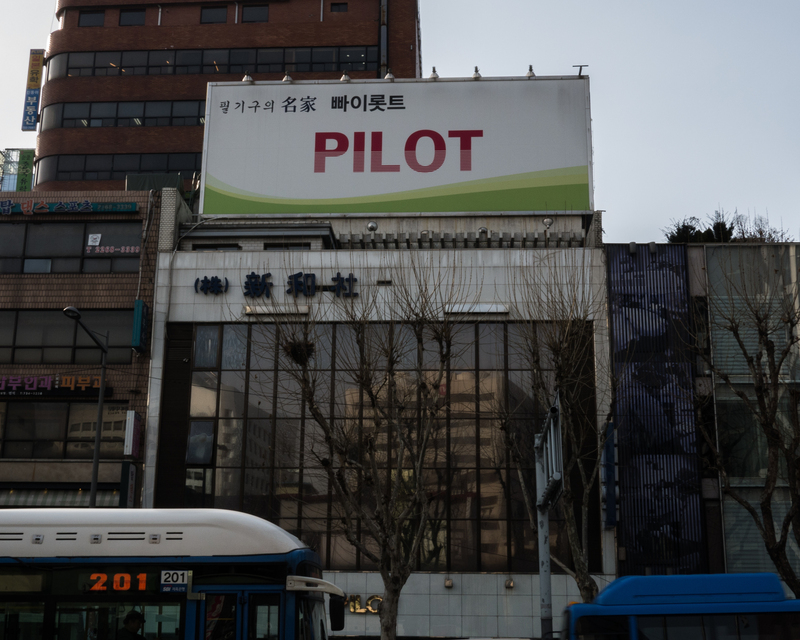 Sure enough, the billboard was connected to a Pilot retail showroom. Unfortunately, my imagination's version of a "Pilot showroom" and reality were two different things. I was looking for a theme park of all things Pilot. Instead, the place was kind of a random assortment of not-so-interesting pens from various vendors. Don't get me wrong. I love my entry level Lamys. But it's not what I'm looking for at a Pilot showroom. There were probably some interesting things to be found if I did some digging. However, given the attention to detail that Pilot puts into the production and presentation if its products, the showroom was kind of a let down. I didn't end up sticking around too long. 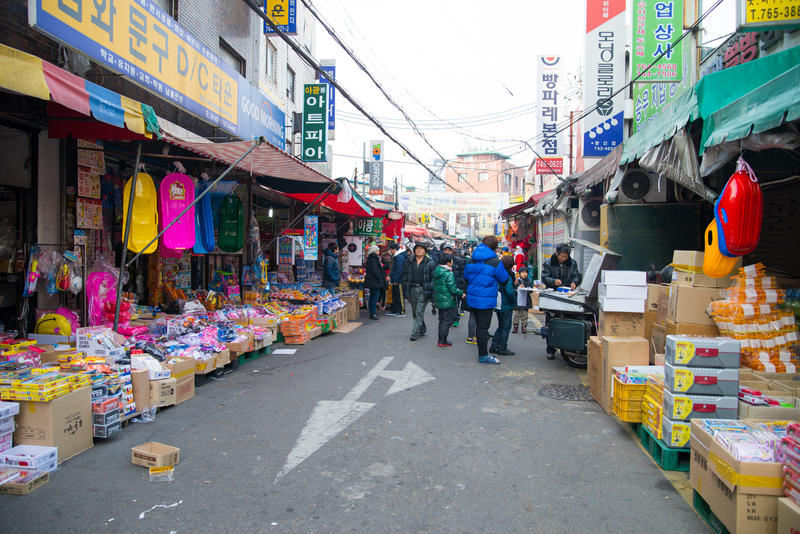 Much of Seoul's off the beaten path shopping is segmented into districts with a particular theme. There are big electronics markets, a sporting goods district, an area devoted only to shoes, and so on. As I was browsing a map of shopping areas, "Toy and Stationery Street" naturally caught my attention. The "toy" aspect made it pretty easy to bring my son over to a majority vote, so off we went. 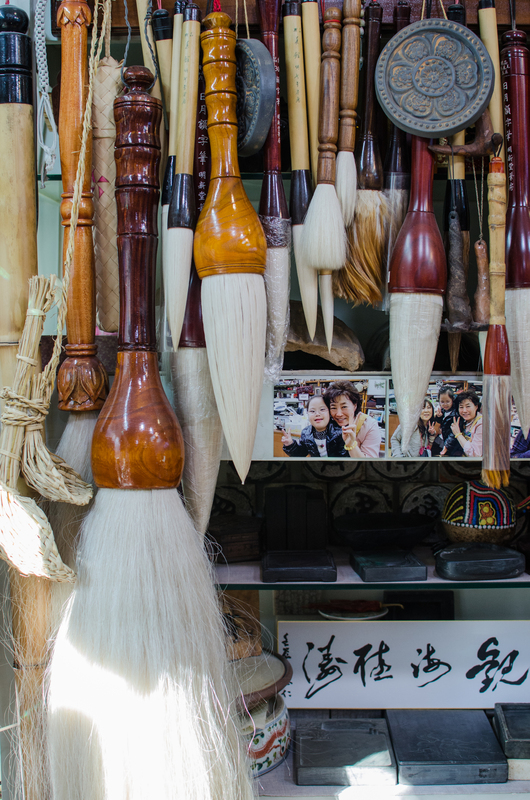 It took a stop at a visitor center and some wandering through an endless sea of shoe vendors, but eventually we emerged at a set of intersecting streets jam-packed with toy stores and stationery stores. The toy stores were quite good, so my son was a satisfied customer. There was a very large number of stationery shops as well. Unfortunately, most of the merchandise was lower-end office supplies and children's materials. It was still quite fun to duck in and out of the various shops and take in the spectacle of it all. 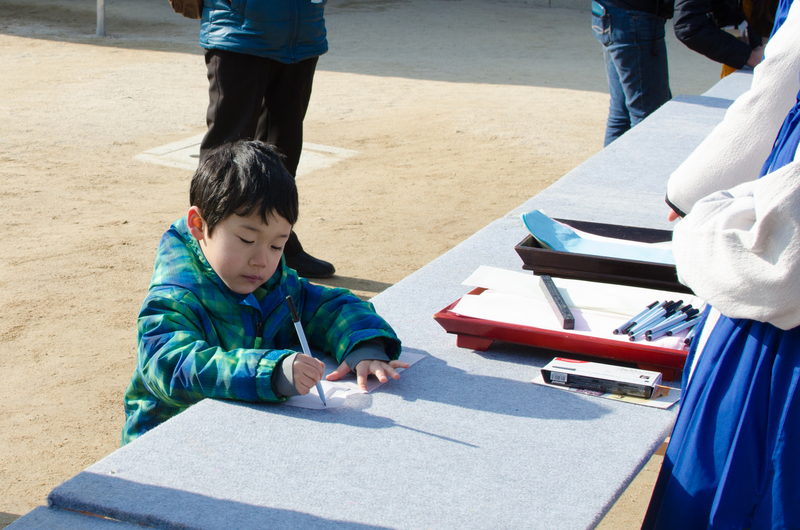 While I wouldn't necessarily recommend Seoul for your next pen and stationery destination vacation (That's a thing, right? ), it's a wonderful city with some fun corners for pen addicts to explore. I'm looking forward to my next trip back when these guys are a little older.